who thrives on supplying her customers with the freshest flowers and unique designs. before beginning her career in The Whitsundays and continuing her training on the Gold Coast and in Brisbane. Returning home to take over Dawn Osborne Florist from her Mother, she is now the third generation of women to run the family business, which has now been established for over 35 years. 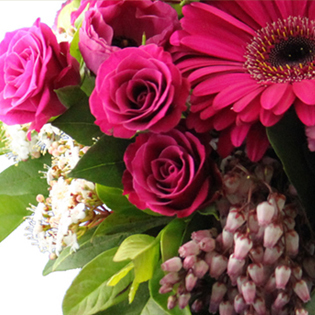 When you order flowers from Dawn Osborne Florist you can be sure that you are ordering the highest quality, freshest flowers at a competitive price. Our flowers are carefully handpicked from the grower or wholesaler, ensuring superb freshness and quality and allowing us to offer you a diverse array of colour, texture and fragrance. At Dawn Osborne Florist we love what we do and take pride in creating new and exciting designs and guarantee that our distinctive style and creative flair will delight your recipient. by email or phone,and we will do whatever it takes to resolve any concerns with you.